Two cast noncombustible Mg–9Al–1Zn–1Ca alloys (composition in mass%) with coarse and fine initial microstructures were hot forged by compression at temperatures of 523–603 K and a true strain rate of 1–10−2 s−1. The compressive stress–strain curves for the two alloys were similar and typical of metals undergoing dynamic recrystallization (DRX). The alloy with the coarse initial microstructure suffered from edge crack formation during hot forging, while the alloy with the fine initial microstructure exhibited smooth peripheral surfaces after hot forging at temperatures of 573 K and above. The reduction of grain size by DRX was similar in the two hot-forged alloys, but the recrystallized volume fraction was lower in the alloy with the coarse initial microstructure. Insoluble second phases (seemingly Al2Ca) provide additional DRX sites, and thus it is expected that the finer initial cast microstructure will improve the microstructure in the resulting hot-forged Mg parts. 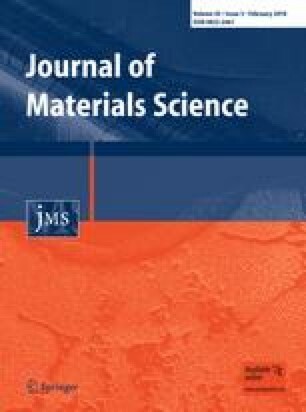 This study was conducted with the financial support of the Forged Magnesium Parts Technological Development Project, which is organized by New Energy and Industrial Technology Development Organization (NEDO), Japan.